Floyd L. Maines Veterans Memorial Arena (originally known as Broome County Veterans Memorial Arena) is a 6,925-seat multi-purpose arena located in Binghamton, New York. The Arena was completed in 1973, providing an entertainment venue for residents of the Greater Binghamton area. The arena contains eight luxury suites, each holding 25 fans (200 total). 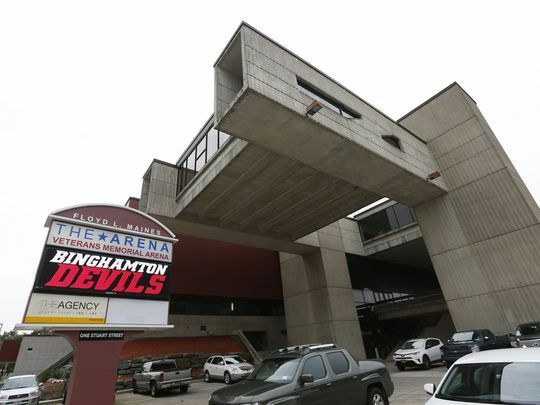 A longtime home to minor league hockey, the arena is currently home to the Binghamton Devils of the American Hockey League. The first act was the Ringling Bros. and Barnum & Bailey Circus, in an unfinished Arena in May 1973. Chicago played the first concert at the arena (with Bruce Springsteen as opener) on June 13, 1973. The Arena played host to the 2008 AHL All-Star Classic, with the skills contest and game broadcast on consecutive nights on live TV across the US and Canada. 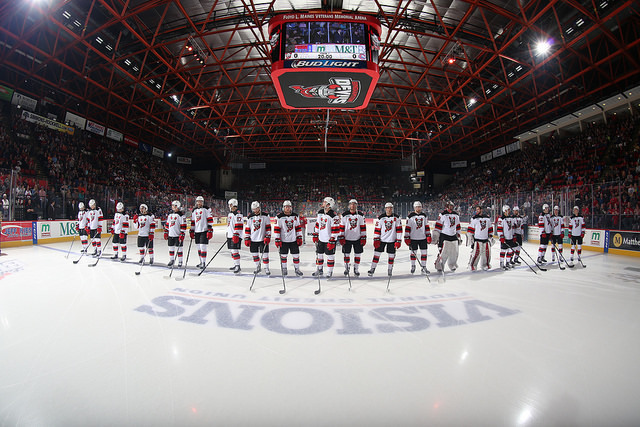 From 2002 to 2016, the Arena was home to the Binghamton Senators, who were affiliated with the Ottawa Senators of the National Hockey League. In 2017, the Senators were replaced with the New Jersey Devils’ affiliate, the Binghamton Devils.